Lenovo G50-30 15.6" Best Value Laptop Intel Dual Core N2840 4GB RAM 500 GB Win8. Lenovo G50 is an amazing laptop with slim body and big features. It packs Intel processor, Integrated DVD read-write drive, Dolby stereo speakers and long lasting battery which gives you uncompromised performance even on the go. 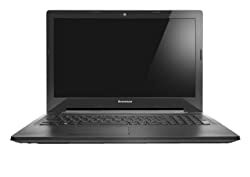 In short Lenovo G50 is the best you can get at this affordable price. 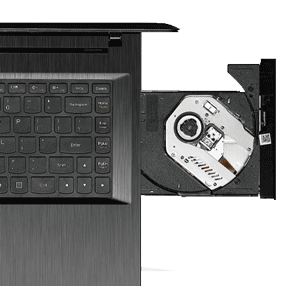 In order to give you top of the line performance Lenovo has equipped G50 with 4th generation Intel processor. It features power reduction and battery jump, plus it also gives you 15% faster and better CPU performance than previous generations. Designed to work with Windows 8.1 it gives you more productivity. Windows 8.1 allows you to keep all your important things on start screen so more time is spend in working and les time in searching. Enjoy your media on large screen with better graphics. Lenovo G50 features a 15.6 HD display with 1,366 x 768 resolution. This HD display lets you watch your favourite movies in high quality display. Combined with up to AMD R5-M230 graphics this screen gives you an outstanding gaming experience. You cannot get most out of your laptop unless your laptop has a long battery life. 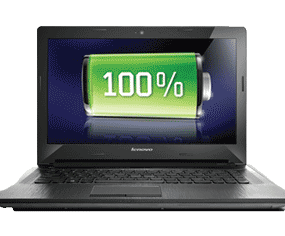 Lenovo G50 comes equipped with high capacity battery which gives you up to four hours of productivity between the charges. So have an unstoppable entertainment with its long lasting battery. With its optical disk drive you can easily watch your DVD movies and install games, it also helps you in faster transfer of your files. DVD writer also allows you to back up and transfer your data by writing it on a blank DVD. It makes your data more portable and more secured. Have better enjoyment of your media with Lenovo G50. It is equipped with Dolby Advanced Audio which enables you to experience immersive surround sound on your PC. Its integrated stereo speakers delivers clear cinematic surround sound. It also enables you to enjoy distortion free audio and also allows you to customize your audio settings according to your environment. 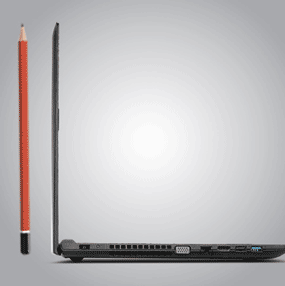 With multiple options of wireless connectivity Lenovo G50 allows you to work freely on the go as well. The built in 802.11b/g/n Wi-Fi adapter lets you enjoy a reliable internet connection at public networks or at home. Bluetooth 4.0 lets you connect to various mobile devices and makes your data transfer easier and less time consuming. Boost your video conferencing and web chats with its built in HD webcam. With its 720p resolution you can take stills and make videos of uncompromised quality. The pictures taken from this camera are so good in quality that they look good even on large screen TV. It features enhanced low light capabilities which enables it to take bright pictures in every lighting conditions. Lenovo G50 features VeriFace pro technology. This latest technology makes your log in fun and also secures your data. Your face is your password and it verifies your face before letting you log in, it also supports multiple users. It restricts unauthorized people to log in to your laptop and informs you when someone tries to access your data. Make your data more portable and easily accessible by Lenovo Cloud. Lenovo offers its users 5 GB space in web storage, you can store all your important data in it. Data and files stored in this Cloud can be accessed from more than one location and from any device which has internet. 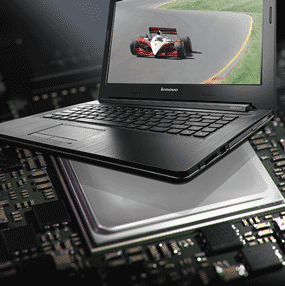 Lenovo offers its users some exclusive tools which boost up their computing experience. Take most out of your laptop with Lenovo Companion or monitor your systems performance with Lenovo Support. Lenovo Energy Management protects and prolongs the life of your battery and also gives you the liberty to choose from three main settings of battery.